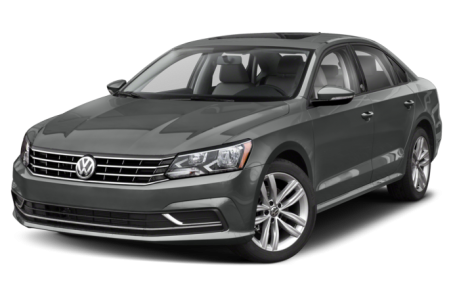 The 2019 Volkswagen Passat is a mid-size sedan that competes with the Toyota Camry, Honda Accord, and Ford Taurus. Two trims are available: Wolfsburg Edition and SEL R-Line. Under the hood, the Passat is powered by a 174-hp, turbocharged 2.0-liter four-cylinder engine mated to a six-speed automatic transmission. Fuel economy for the Passat is an EPA-estimated rating of 25/36 mpg city highway.